Barry Lam received his BA in Philosophy and English at the University of California, Irvine (2001), and his PhD in Philosophy at Princeton University (January 2007). He produces a story-driven podcast about philosophy called Hi-Phi Nation. The American Philosophical Association is pleased to announce that Barry Lam, associate professor of philosophy at Vassar College, has been awarded a 2019–2020 Whiting Foundation Public Engagement Fellowship in the amount of $50,000 for Hi-Phi Nation, a popular philosophy podcast praised by the Guardian and the Huffington Post. Barry Lam, Associate Professor of Philosophy, talked with Chronogram about his podcast, Hi-Phi Nation. 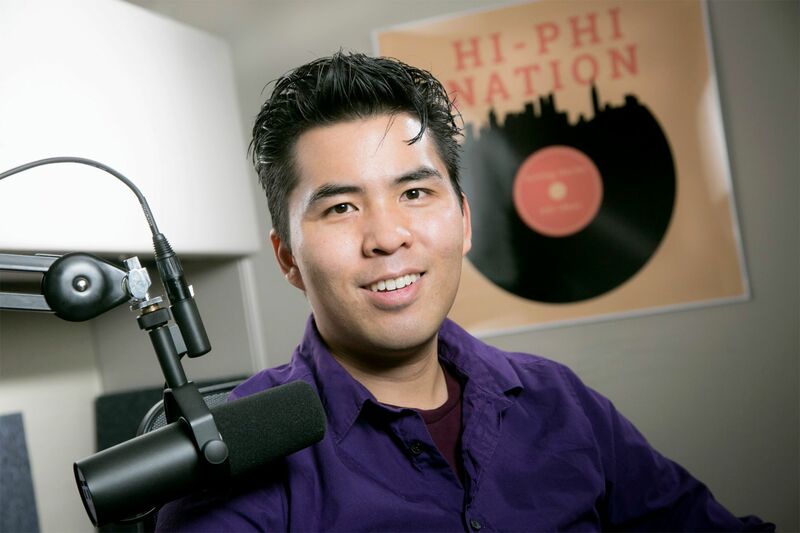 Barry Lam, Associate Professor of Philosophy, and his podcast, Hi-Phi Nation, were the subjects of a Philosopher’s Zone interview. Facebook’s New Ad Disclosures Are Meant To Fight Russian Trolls. A Russian History Podcaster Is Paying The Price. Barry Lam, philosophy professor at Vassar College, quoted in a Huffington Post story about how Facebook’s new advertising disclosure policy is impacting legitimate news sites, podcasts, and nonprofits. Barry Lam explores the question, “Is death always final?” in an episode of WAMC Northeast Public Radio’s The Academic Minute. Barry Lam and his podcast Hi-Phi Nation were mentioned in a Poughkeepsie Journal story about Hudson Valley podcasts. Hi-Phi Nation, a podcast created by Barry Lam, Associate Professor of Philosophy, was listed as one of the four best new podcasts by PureWow. Barry Lam, Associate Professor of Philosophy, penned an Aeon column about the morality of respecting the wishes of the dead, above the living. I went to UC Irvine as an undergraduate, and received my PhD in Philosophy at Princeton University. I did my early career research in epistemology and in the philosophy of language. In recent years, I have become attracted to philosophy that is connected to moral, political, or public policy issues. Instead of publishing in peer-reviewed journals, my primary aim is to disseminate my thinking about these issues in narrative audio form. I executive produce and host Hi-Phi Nation, a show about philosophy that turns stories into ideas. I have also started work in philanthropy as Associate Director of the Marc Sanders Foundation.